Please follow the link to read part 1 of this post. Now Gopalrao Maharaj came back to Selu. One day a boy with his mother came from Pathari to Maharaj. Gopalrao Maharaj gave them shelter readily. Maharaj Gopalrao had a good knowledge of Sanskrit language and so the boy had a good advantage of that and he also learned Sanskrit. Gopalrao Maharaj now started to give all his knowledge to the boy. He taught him many Yogasanas and how to do meditation. The boy had a sharp mind and thus whatever was taught by Gopalrao Maharaj, he could grasp it at once. So Gopalrao Maharaj spent much of his time with the boy. Gopalrao Maharaj had got Brahma Gyan from his birth only. So many disciples and followers were behind him. In the beginning Gopalrao Maharaj could spend much time with them, but due to the disciple boy, now it was not possible to give much time others. The people could not get the company of Gopalrao Maharaj now. This was due to that boy only. Naturally a feeling of hatred arouse in the hearts of all these men. When this matter came to the notice of Gopalrao Maharaj, he at once took the boy to the fort which was repaired and was now owned by him. No one knew the caste of the boy. But it was doubted that he was a Muslim and Gopalrao Maharaj was a Brahmin. Naturally the followers and disciples of Gopalrao Maharaj would not like the deep relations of the boy and Gopalrao Maharaj. So Gopalrao Maharaj left Selu alongwith the boy. This had a great impact on the followers and disciples of Gopalrao Maharaj. They decided to kill the boy. Some people joined their hands and thus searched the guru and disciple. After searching many places, the team found them at night one day. At that time Gopalrao Maharaj was sleeping beside the boy. The boy was also asleep. 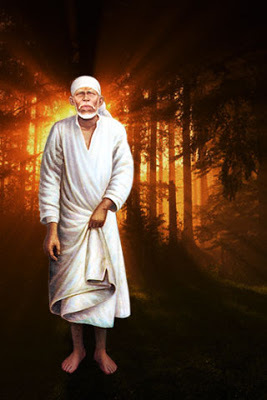 Thinking to be a good opportunity, they hit the boy’s head with a big stone (it is said that it was a brick and the same brick was then placed in Baba’s Samadhi). But by mistake Gopalrao Maharaj got hurt by the stone. Due to deep wound, the blood started flowing. To prevent the blood from flowing further, the boy then tied a cloth to Gopalrao Maharaj’s head. After some time the blood stopped flowing. In no time the boy understood who had thrown the stone on his guru’s head and why. But the boy did not like the fact that his guru suffered because of him, "The people don’t want that I should live with Gopalrao Maharaj". He thought, “In future also, people will trouble my guru and so I should live my guru at once”.